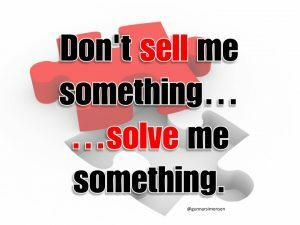 Friends, For over 15 years, I have been developing and practicing a way of selling that is a blend of what I have read in books, learned from mentors and developed on my own through trial and much error. The result is a much higher than normal close rate. First let me tell you why I have intentionally spent so much time working on this. My first job in insurance was as a captive agent. Puppy Mills of the Financial Service Business The sales manager had goal making session with me where he explained that in order to achieve my income goal, I would have to make 10 calls to schedule 3 meetings to make 1 sale. What that meant for me, based on a very modest average case size is that I would have to make about 40 warmly sourced phone calls per week to schedule 12 sales meetings to make 4 sales in order for my family to have a reliable income. Having no base of knowledge about insurance selling and very little aptitude, I was forced to take his word for it. So I started seeing clients and made a few sales. I determined within a few weeks that his numbers were pretty much spot on. Now I am not a very outgoing person, so it was very painful to make those calls and I was quickly running out of warm sources. I wondered how I could change the numbers in my favor. What if I could only call 5 or even less people to make one sale? I started trying to figure out what the reason was for people not buying from me. Quickly, I discovered that many of my prospects had bought insurance before and that they preferred to check my prices with the other agent first. Within a month, I determined that I was losing about 1 out of 4 opportunities due to price shopping. Since I wanted the client to have the best price and there was no way to solve this within the current company, I decided to get a job with an independent firm so that I could always win on price. OK, great progress, I thought. So, based on my original numbers, I now only had to make 33 phone calls per week. What If I could improve that further? I knew I was lacking in knowledge, and though they didn’t tell me, my prospects could tell that I was new in the business. They surmised correctly that I didn’t know very much about insurance compared to a seasoned agent. I figured I was losing another 1 out of 4 opportunities over lack of trust due to my inexperience. I couldn’t fault the client for their assessment, so I started pouring through every bit of written material I could get my hands on. Within a few months, I was like an insurance encyclopedia. There wasn’t a question about how insurance works that I couldn’t answer and most of the time answer better than an experienced agent. With this new knowledge, I started focusing on not only increasing my close rate, but my case size. What if I only needed to place 3 cases per week instead of 4? And so it went. With each thing I found to be a reason for failing, I improved. Within a few years I reached what I considered to be a real milestone. I completed a single insurance case where my commission was as much as my original annual production goal. Over the last several months, I have been thinking about what I want for the next 15 years of my career. I determined that, to keep it fun and interesting, I have to keep innovating. Today, I have a platform that is near completion which I think will help 100’s or 1,000’s of agents get through those most painful months and years of grinding it out. 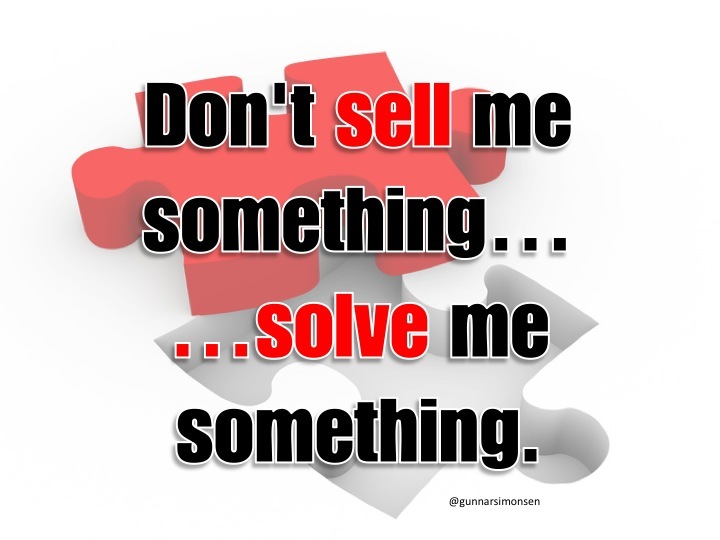 It is a selling method that works for today’s buyer. http://www.brevityconsult.com Stay tuned. We will have something to show you this summer.